Pretty self explanatory. Wanted to get this on the board now so participants have plenty of time to infuse. We can adjust the date if it doesn't work for people. For now I'm going to limit it to 12. 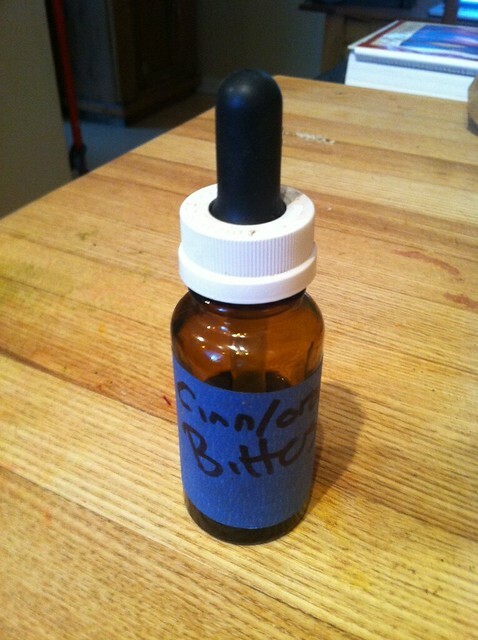 I would also be willing to coordinate a bulk order of bottles from specialtybottle.com if everyone's interested. Last edited by fropones on February 11th, 2014, 5:27 pm, edited 19 times in total. Definitely in, both for event and bottle purchase. You may do better for your bottle purchase at American Science and Surplus on Northwest Hwy & Foster. They've got an ever changing and eclectic collection of small bottles of all types. Do you think we should set a recommended quantity per person, so that we don't show up with drastically different size portions? If we all go in on the same btls, and 12 sign up, we'd each make a doz with 11 to exchange and 1 to keep. But I need to know how much booze and herbs to start steeping. It could take weeks for internet people to come to a consensus on bottles etc. Last edited by laikom on December 14th, 2013, 3:36 am, edited 1 time in total. Ok, let's all go with 100 mL. If 12 participate and we order 12 of them that would be $14.80 pp. I also extended the date to allow more time for infusion. If anyone needs more time or a different date, just holler. Oh my this sounds fun! I would love to participate and will commit to Sour Cherry bitters since I have a boatload of fruit harvested from my tree And yes, I will buy bottles. I believe they're 75 ml. I'm in also, I've always wanted to try making my own bitters. This is the motivation I need. Very excited for sour cherry bitters and that Attrill is participating (still enjoying the arugula bitters he gave me!!!). I'm leaning towards something like the thai syrup I made a few years ago--lemongrass, kaffir lime, coriander, galangal, green peppercorn, bird chili. Count me in. I'll have to chew on some ideas over break. fropones wrote: Pretty self explanatory. Wanted to get this on the board now so participants have plenty of time to infuse. We can adjust the date if it doesn't work for people. For now I'm going to limit it to 12. Now this is an awesome idea. Can't wait to see pics and hear descriptions. The date change moves me to the tentative category. If it's ok, please leave me on the list for now but if the event ends up full, I insist that you bump me in favor of someone who can definitely make it. And of couse, if you need to bump me now due to the lengthy prep requirements, that's fine too. ronnie_suburban wrote: The date change moves me to the tentative category. If it's ok, please leave me on the list for now but if the event ends up full, I insist that you bump me in favor of someone who can definitely make it. And of couse, if you need to bump me now due to the lengthy prep requirements, that's fine too. Just in case anyone is looking, Merz apothecary AKA smallflower.com has lots of things one might want for bittering agents. Call ahead to be sure, but great amazing inventory. What you really mean is, for RONNIE, we'd change the date.. I'll probably get my bottles at American Science and Surplus just because I'm not sure if I may split mine into batches. 24 bottles for 2/pp of ~50ml. I'm terrified, but I'm in. The recipe I'm using calls for both Everclear 151 and Rye. I know nothing about Rye, so before I go buying, do you have any suggestions for a brand for this application? I'm looking at needing 4 cups. oh and PS - Pinch Spice Market on Milwaukee also has many of the things you might need too, like Gentian Root and Quassia Bark, etc. I'd go with something like Old Overholdt that won't break the bank. Especially since you'll need more than a fifth. Another good rye option is to get the templeton from Costco. Rittenhouse 100 is my go- to mixing rye and would likely do well in this application. This appeals to the bitterer part of my nature. Count me in, and I'm thinking saffron-cardamom at the moment. Santander wrote: This appeals to the bitterer part of my nature. Count me in, and I'm thinking saffron-cardamom at the moment. I have many times thought of the bitter part of your nature. I'm glad to finally find out it's only as bitter as something saffron-cardamom. leek wrote: The recipe I'm using calls for both Everclear 151 and Rye. I know nothing about Rye, so before I go buying, do you have any suggestions for a brand for this application? I'm looking at needing 4 cups. I usually use Old Overholt for bitters. Old Overholt and Rittenhouse were the most common Ryes for over 100 years, and are your best bet for any older cocktail or bitters recipes. Sounds like fun! I have a few batches at home that I can contribute, plus I'll whip up something new. I know that I haven't been around for a while - life gets in the way sometimes. Thanks to Cathy2 for the heads-up! Oh, also - the Spice House usually has some great seville orange peel if anyone is looking for some. I'd like to come. I will make pimento/allspice dram.